Thryn Saxon is a freelance dancer, filmmaker, choreographer and overall goofball from Miami, FL. Working under the moniker SAXYN/DanceWorks, her original choreography has been presented in almost every borough and New Jersey. Thryn loves Thai food, whiskey on the rocks, warm weather, hosting parties and bubble baths. She loves getting into deep conversations with passionate people and both telling and listening to stories. She and her partner live in Astoria and are proud Queens people. Learn more about Thryn on her website and on Instagram @ thryn_saxon_. Thryn performed the duet “BAB/E” with Emily Tellier at Hi Artist Volume 3: VENUS, a celebration of women in contemporary dance. Emily Tellier is originally from North Vancouver, Canada, and resides in Brooklyn as a freelance dance artist. She has performed at festivals such as Central Park’s SummerStage, the 2010 Winter Olympics, and Ladies of Hip Hop. Emily is the Community Action Manager at Gibney, where she works throughout the city with youth outreach programs and domestic violence shelters. Though she loves contemporary, she also loves to pop and lock, and is an ex synchronized swimmer who adores being in the water. She is also an avid doodler. Follow her on Instagram at @emilynan. Emily performed the duet “BAB/E” with Thryn Saxon at Hi Artist Volume 3: VENUS, a celebration of women in contemporary dance. Maiya Redding was born and raised in Chicago, Illinois, and relocated to New York to complete her B.F.A. in Dance at SUNY Purchase College. In her works, she uses the music as a jumping-off point for the creation of story and concept. She is driven by a desire to push the boundaries and go beyond her existing comfort zone. Throughout her artistic process, she has learned to trust herself and trust God. Learn more about Maiya on DancePlug and follow her on Instagram at @maiya_redding. Maiya performed a new solo, Doubt Your Doubts, at our private Hi Artist event in November, and December’s Volume 3: VENUS. Originally from Seattle, WA, Holly Ledbetter moved to NYC in 2012 to pursue her B.F.A. in Dance at NYU’s Tisch School of the Arts. She spends most of her time teaching yoga to different populations including at risk youth and people with Parkinson’s Disease, and performs with the experimental theater company ChristinaNoel and the Creature. She enjoys long distance, self-supported bike touring and is fond of doing things she’s not good at (like weekly surf sessions at the Rockaways and learning to play the drums). Learn more about Holly on her website and on Instagram at @ hollyledbetter. Holly performed the early iteration of a new solo (Get Well Soon, Practice i) at Hi Artist Volume 3: VENUS, a celebration of women in contemporary dance. Matilda Sakamoto was born in Los Angeles, California, and received her B.F.A. in dance from the Juilliard School. She is currently freelance dancing and choreographing in New York City and abroad, and has recently performed at local venues including The Whitney Museum of Art and Triskelion Arts. In her free time she loves to draw, paint and embroider, and aspires to one day weave all these forms together into a new interactive choreographic installation with video projections and more. Follow her on Instagram at @ tilderz_. Matilda performed a solo, Ramen, at Hi Artist Volume 3: VENUS, a celebration of women in contemporary dance. Hannah Newman-Pan hails from Pittsburgh, PA, and has loved living in NYC for the past six years. She graduated from the Ailey/Fordham BFA program in 2016 and currently dances with Peridance Contemporary Dance Company. She is also on staff at Shining Light Ministries, a nonprofit that provides performing arts workshops in prisons. Hannah recently got married, eats vegan, and is currently reading the Harry Potter series for the first time. Follow her on Instagram @hannahnewman828. Hannah performed a duet with Colin Heininger at a private Hi Artist event for the students of NYU Stern’s Arts, Culture & Cuisine Club. 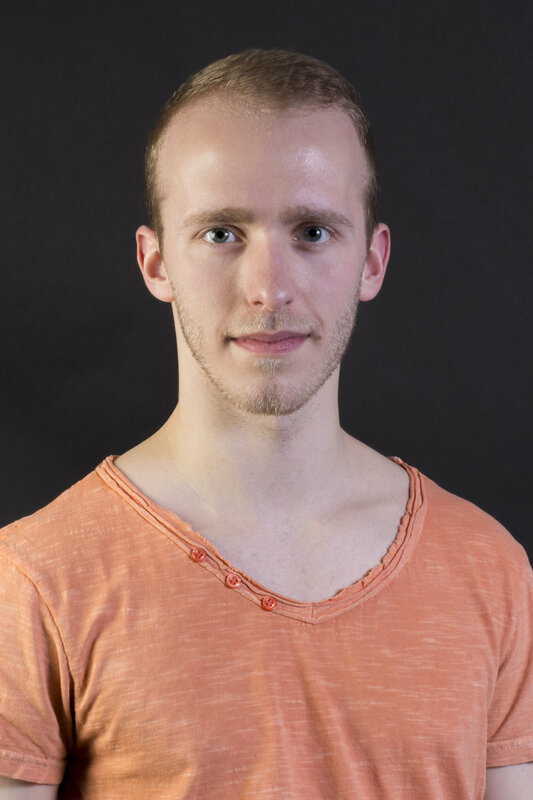 Colin Heininger grew up in Hollidaysburg, Pennsylvania and studied in Philadelphia before moving to New York to join Peridance Contemporary Dance Company. In addition to being a dancer and choreographer, Colin is also a professional math tutor, casual musician, and visual artist. He enjoys being an A List member at AMC Theaters and is currently on the search for the best Ramen in NYC. Follow him on Instagram at @colin_it_a_day. Colin performed an original duet with Hannah at a private Hi Artist event for the students of NYU Stern’s Arts, Culture & Cuisine Club. Nico Brown moved to Brooklyn from southern Illinois. He makes dances (usually solos) that address his relationship to landscape, queerness, his love of ballet, and formal composition. These things converge in his work, and he calls himself a minimalist. Nico’s dances have been presented all around, including Jacob's Pillow Dance Festival Inside/Out, New York Live Arts, LaMama Experimental Theatre, Gibney Dance Center, and Pieter Performance Space (Los Angeles). He is currently a space grant recipient at Brooklyn Arts Exchange. Nico holds an M.F.A. in Dance from the University of Illinois at Urbana-Champaign and misses the flatlands quite a bit. Learn more about Nico on his website and on Instagram at @nicomarkbrown. Nico performed a new solo, Poems, at Hi Artist Volume 2 (July 2018). Rovaco Dance Company was founded by Rohan Bhargava, a New York City based choreographer from New Delhi, India. He holds a B.F.A. 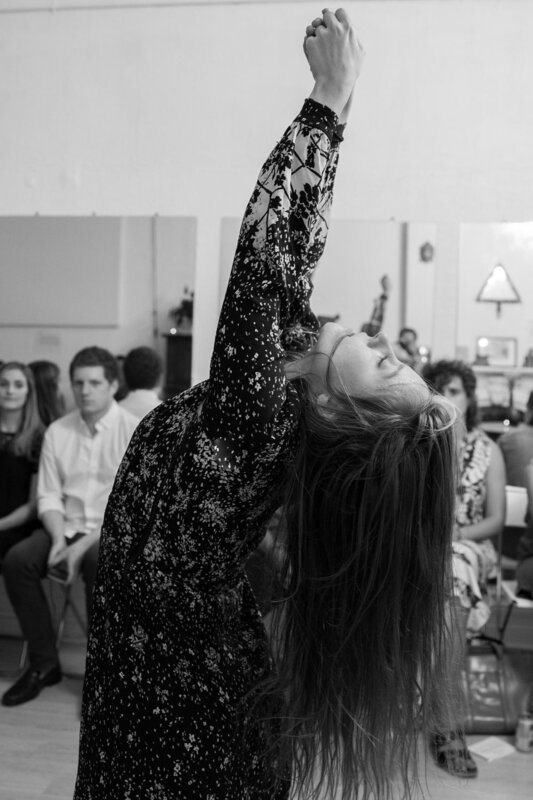 in Dance from NYU’s Tisch School of the Arts and is currently producing a new evening length work as part of a two-year residency at LaGuardia Community College. Rohan teaches dance to middle school kids through Greater Ridgewood Youth Council and enjoys riding the world's tallest and fastest roller-coasters. Learn more about Rovaco Dance Company on their website, or on Instagram at @rovacodance. 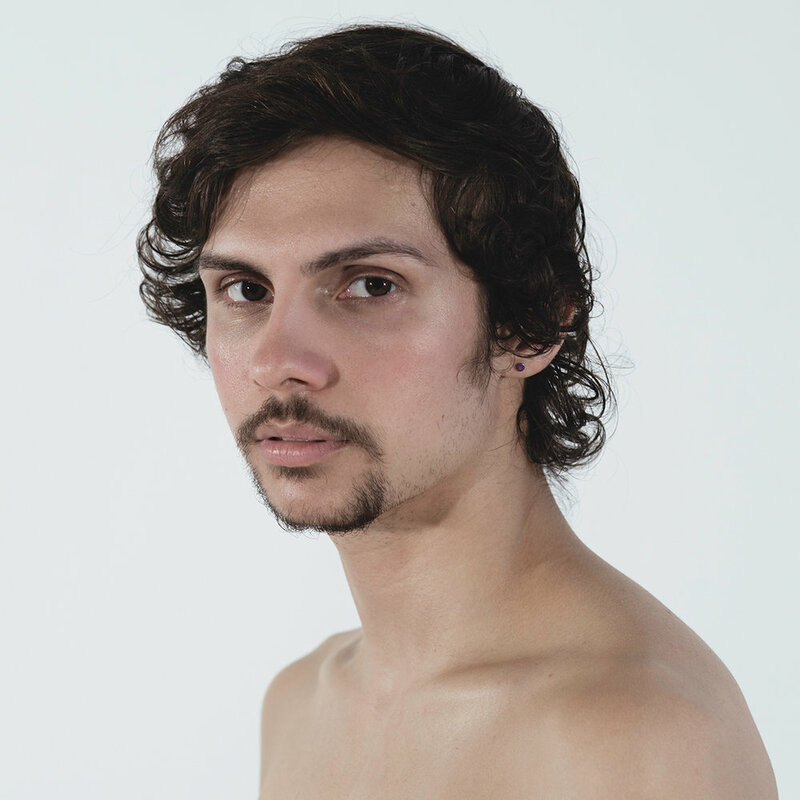 Nico Gonzales is a Brooklyn-based dancer who loves sushi and riding his bike. He graduated from NYU Tisch with a B.F.A. in dance and is training to be a Pilates teacher at the Kane School. Originally from Colorado, Nico loves the outdoors, especially being in and around bodies of water of any kind. Nico dances for Bryn Cohn + Artists and Heidi Latsky Dance. Alden Henderson is a freelance dancer and choreographer currently performing with Bryce Dance Company, VISIONS: Contemporary Ballet, Rovaco Dance Company, and SHIFT, Dance Arts & Media. He received his B.F.A. in Ballet and Modern Dance with a General Business Minor from Texas Christian University in 2017. In his free time, Alden enjoys playing strategy games, watching films and television shows, and seeing other dance performances. Originally from Dallas, Allison Ward received her B.F.A. in Contemporary Dance Performance from The Boston Conservatory. As a freelance dancer she has performed at venues throughout the tri-state area, at the Toronto Fringe Festival, and throughout the Midwest while on tour as a company member with DamageDance. Allison has a slight coffee addiction and a TexMex food obsession (although it's a bit impossible to find in NYC). When she is not dancing she can be found reading or in The Strand bookstore. Alice Halter was born and raised in Albuquerque, NM before attending Emory University where she earned a B.S. in biology and a minor in dance. In addition to dancing with kamrDANCE, Alice makes her own work. She loves hearing viewers' interpretations of the movement after a performance. Learn more about Alice on her website and on Instagram at @aliceliddell18. Alice performed in kamrDANCE's No More No More, one of the pieces on the Hi Artist Volume 1 program (June 2018), as well as in a phrase-work excerpt from Defining Characteristics at Hi Artist Volume 2 (July 2018). Alexis Robbins, originally from Wakefield, RI, holds a B.A. in dance and a B.S. in exercise science from Hofstra University. She started her company, kamrDANCE, in the fall of 2015, and since then her work has been performed at several venues in New York, New Jersey and Massachusetts. When she isn't choreographing she is either working as a personal trainer or dance teacher. And when she's not moving, her favorite thing to do is eat ice cream. You can learn more about Alexis and her company here, and on Instagram at @kamrDANCE. Alexis performed with Alice in No More No More at Hi Artist Volume 1 (June 2018). Excerpts of her work (Defining Characteristics), were also shown at Hi Artist Volume 2 in July 2018. Amanda Krische was born and raised in New York City. She received her B.F.A. from the Conservatory of Dance at Purchase College, SUNY in 2016. She has shown her work at the Kennedy Center, Ailey Citigroup Theater and Moody Performance Hall, to name a few. She loves reading, collaboration, observation and pushing boundaries. Learn more about Amanda on her website and on Instagram at @amanda.krische. Amanda performed original solo work, How to Break at Hi Artist Volume 1 in June 2018. Peter Cheng spent nearly three decades in San Francisco before recently making the move to New York City. He received his B.F.A. in Dance from the University of California Santa Barbara and has trained professionally in San Francisco, New York, Chicago and Montréal. Peter has spent the last seven years thriving off the tech boom, recruiting talent for companies such as Yelp, Uber and Ancestry. He lives in Brooklyn with his 3-year old Brazilian Terrier, Bruno, and his favorite dance memory is appearing alongside Rachel Bloom (Crazy Ex-Girlfriend) and Adam Pally (The Mindy Project) in an all-out ridiculous 80's music video shot in "deep Bushwick". You can learn more about Peter on his website and on Instagram at @cheng_moves. Peter performed original solo work titled DRAFT NO. 31 at Hi Artist Volume 1 in June 2018.